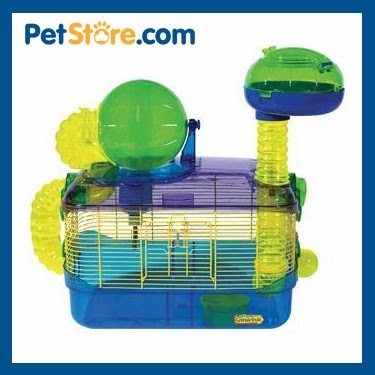 PetStore.com Blog: Win a Super Pet CritterTrail Z Habitat! Give your hamsters, mice or other small pets a fun and whimsical place to call home with the Super Pet CritterTrail Z Habitat! The CritterTrail Z comes complete with water bottle, food dish, removable exercise ball, removable petting zone and look-out tower. Want a safe, expandable, easy-to-clean home for your small pets? ENTER NOW. Registration ENDS at 11:59 PM PST on 11/21/13. It was really fun reading this blog and watching this video.If you are looking for Fashion Pet Dog Clothes, visit jerispetpampering.com.